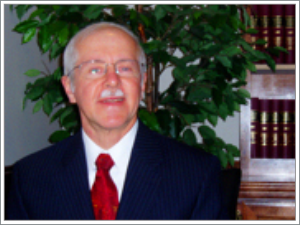 Ron Greve is an experienced estate planning attorney who can help you put together a plan that is best for you. Clients often ask whether a Will or a Trust is better. There is no simple answer that will fit every person. We will present the alternatives and help you choose what is best for you. An estate plan also needs to address end of life medical decision making and the right to die. Michigan had its own Terry Schiavo case. With a Health Care Power of Attorney you can appoint a Patient Advocate to enforce your choices as to medical treatment and withdrawing life support. Disability planning also requires a Durable Power of Attorney so that someone can handle your finances if you are unable to do so. If you have minor children, you need to make provisions for a Guardian and Conservator. If you have beneficiaries who are disabled, receiving government benefits or who cannot seem to manage money, you can address this with a Special Needs Trust. Joint Property or a Quit Claim Deed can be a part of the plan but there are pitfalls to doing this which we can explain. If you are fortunate enough to have an estate that will be subject to Federal Estate Tax, we can help you plan to minimize the tax. We will spend whatever time is needed to provide you with a complete estate plan. Most of the time, the fee is a flat rate which will cover everything including conferences and document preparation. I think that you will find our fees quite reasonable. Call us for an appointment.